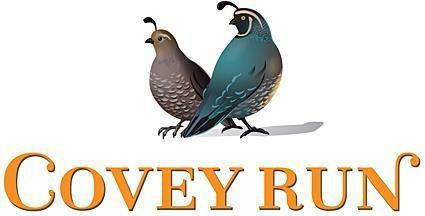 Since its inaugural 1982 vintage, Covey Run has crafted high quality, affordable wines from prized vineyards in the renowned Columbia and Yakima Valley appellations of Eastern Washington State. Sheltered from storms by the majestic Cascade Mountain Range, conditions in these high desert regions are ideal for cultivating world-class wine grapes. Warm, sunny days and extended sunlight hours from Washington's northern latitude foster intense flavors in our classic European grape varieties, while cool nights ensure they retain high levels of acidity. "Made in a slightly sweet style, with a small percentage of Muscat Canelli blended in to enhance its natural fruitiness, this fragrant wine offers floral, lemon and lychee fruit aromas, with a fresh, clean palate that makes it delightful to quaff chilled on the patio on a sunny summer afternoon." "Our Riesling exudes pleasing aromas of green apples, peaches, and honeysuckle. Its sweetness and acidity are well balanced and lead to a medium bodied finish. Food Pairing Suggestions: An extremely food friendly wine, Riesling pairs well with mild cheeses, seasonal fruits and cream sauced dishes.